Rhodes Skate Park in Boise, Idaho, will once again host the Road to X Games Boise Qualifier, bringing skateboarding and BMX competition to the city for the third consecutive year. 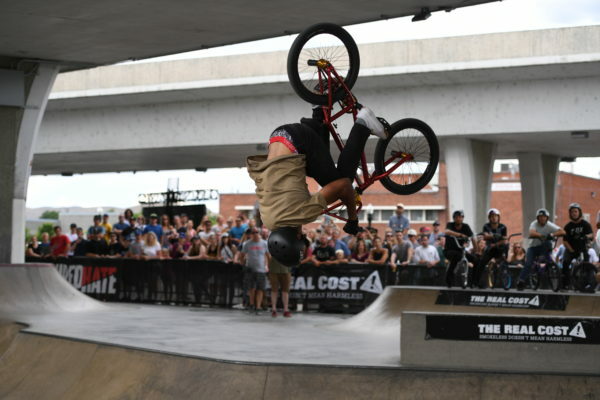 The event will be staged June 28–29 and will serve as a qualifier to X Games Minneapolis. “Boise is building a national reputation as a welcoming city that appreciates athleticism of all kinds,” said Carrie Westergard, executive director of the Boise CVB. In addition, ESPN has announced that the Harley-Davidson Hooligan Racing qualifier, which debuted last year in Boise, will be broken out into a standalone event. Industry Racing at Industry Hills Expo Center in Industry Hills, California, will host the event June 20. The flat-track race will serve as a class in the Born-Free Stampede, which serves as a preview to a weekend custom motorcycle show. The top 48 qualifiers will receive an invite to X Games Minneapolis.